Have you ever wondered what makes one company stand out from another with seemingly similar product? Good companies know how to connect and interact with their customers. These companies take the time to research and understand their customers’ wants and needs. Companies such as Nike relate to their customers through social media and effective social commerce strategies. The takeaway from the rest of the article is to outline the social commerce instruments and explains how it affects your online shopping habits. To review: the branch of psychology that studies how people think, impact, and connect with each other is called social psychology. Social psychologists, who have studied shoppers, conclude that they thin-slice when they are shopping. Shoppers tend to ignore most of the available facts when they shop. Instead, they pay attention to just a few details often stemming from social interactions. When you are unsure of what to buy or do, you often seek the advice from someone who has purchased the item or is in the process of it. We take assurance that it’s OK to buy an item if someone else has done it too. When a product is dominating the market or many people accept it, it persuades you to consider buying it. Example: Nike has reviews on all its clothing and sports equipment. 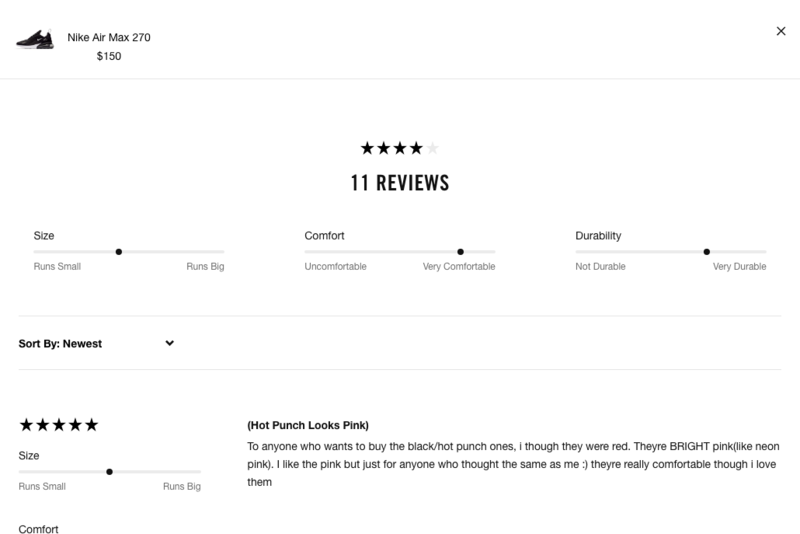 Before buying, shoppers can read reviews and determine if the product is what they need. When you want the most authoritative opinion or advice about anything, you seek out guidance from an expert in that field. Since the expert has full knowledge, you don’t have to spend the time doing extensive research. 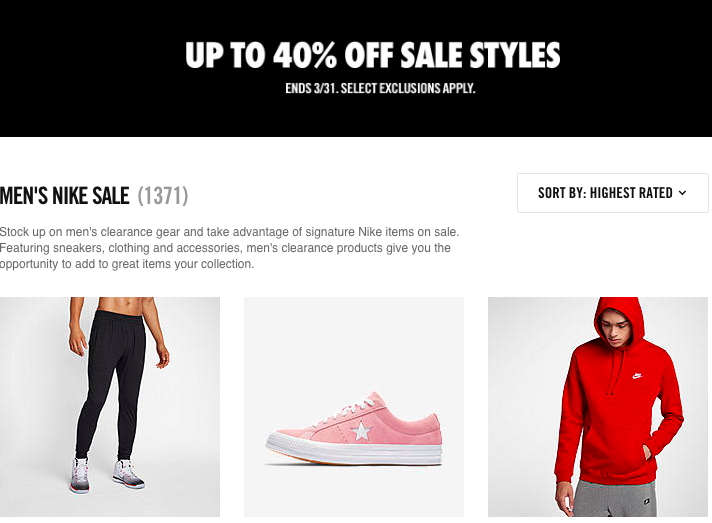 Example: Nike came out with its NikePlus program which gives you exclusive nike deals on the latest items. The program is unique to you and your fitness goals, which includes access to health and fitness experts. You’re more likely to listen to an expert about which shoes to buy for running than someone at a department store. Your mind is conditioned to believe that if there is a limited supply or scarceness, then it’s more valuable. Example: Throughout the year, Nike advertises sales for different events. They create a sense of urgency that if you don’t buy shoes now, they’ll be gone before the sale is over. This is more common around the holidays. Overview: You have a tendency to follow and subscribe to people you like, appreciate, or people you find charming. This builds connections between you and another person and in a way, helps form your personal image and identity. Example: On Nike’s Facebook page, you can see which of your friends follows and likes the page. You’re more likely to join team Nike if one of your friends or a favorite sports team is fond of it. Overview: When you are faced with ambiguity, you often choose something that aligns with your past tendencies or beliefs. 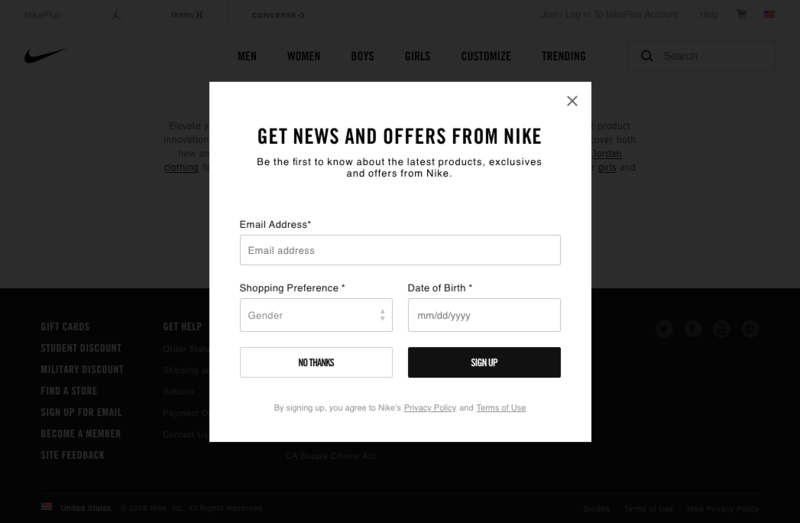 Example: Nike gives away freebies to new customers in exchange for an email address. When they ask you for one small thing, it’s easier for them to ask you to buy products from them. You have an innate want to repay kindness or favors to others, whether it was requested or not. It gives you a good feeling to do something nice for someone who showed kindness to you. You feel this way because of a sense of equality and social norms; and it is also appreciated since it helps relationships, community, and civilization stay grounded. 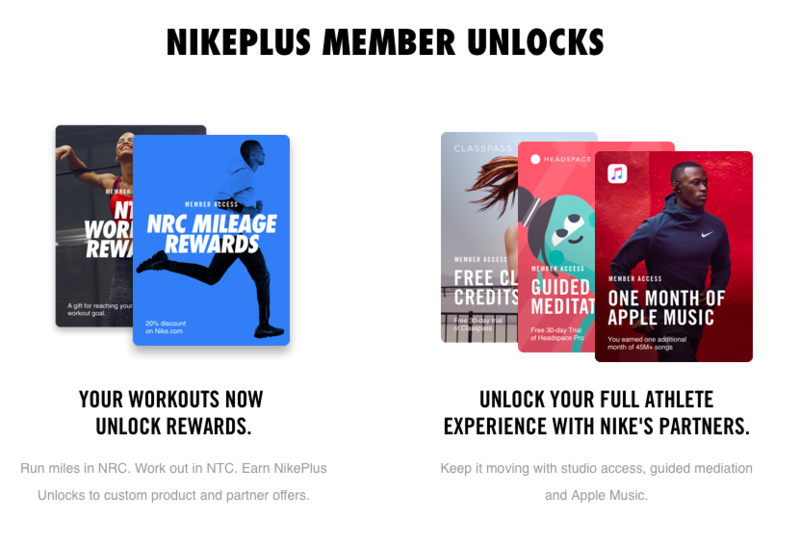 Example: As part of Nike’s NikePlus membership program, you can earn rewards when you reach your fitness and health goals. 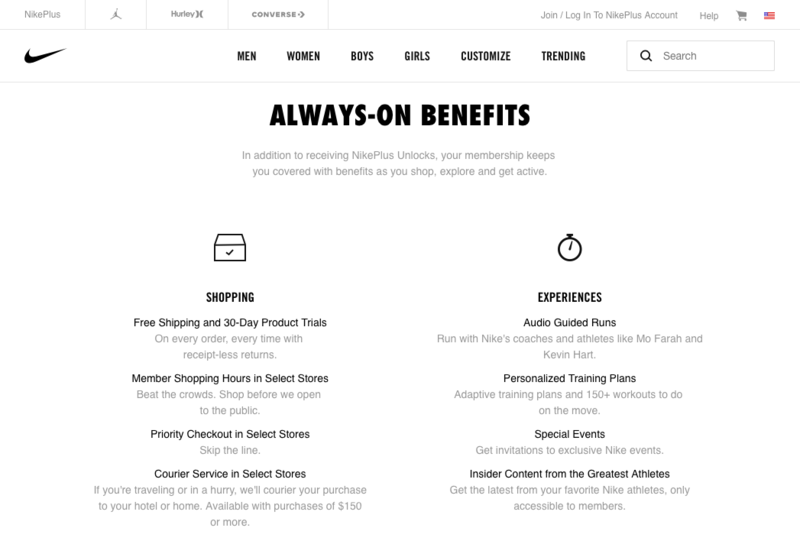 You might be more inclined to spend money on Nike gear once you’ve earned points with their membership program.